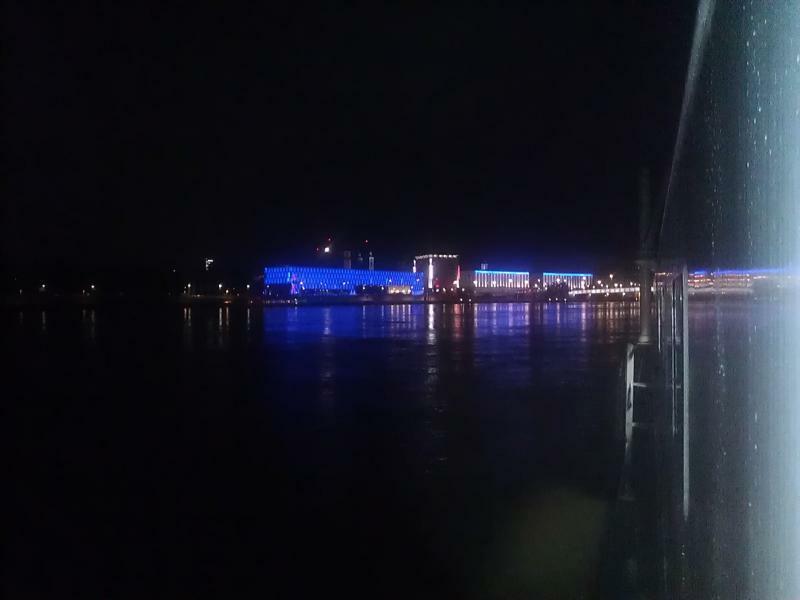 From Passau to Vienna the ship remained docked while we slept. In the morning we took off on our bikes for the destination for the next night. 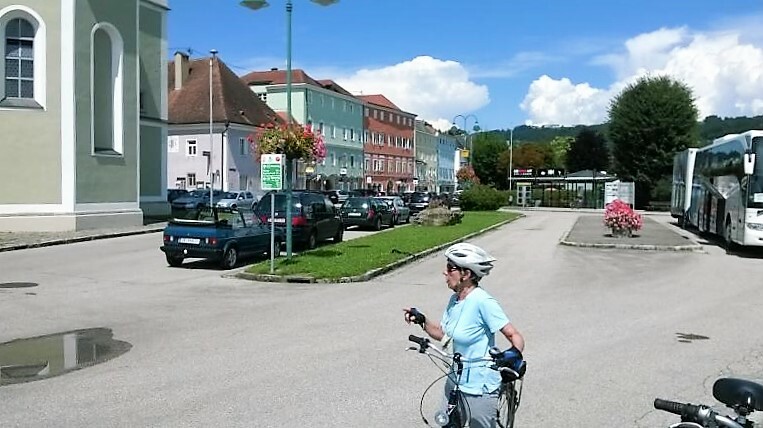 The first morning, the ship got underway about 6:00AM and cruised about 15 miles to Engelhartszell, where we were issued our bikes and began the ride. 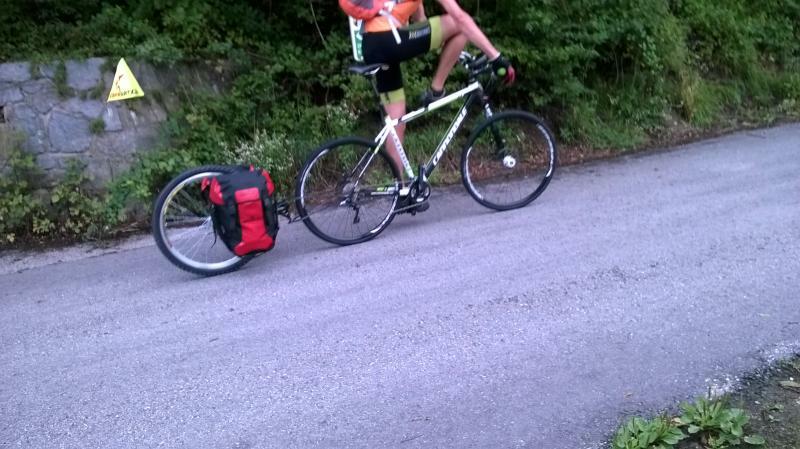 I ordered one with a 7 speed internal gear hub and Jeanine one with a 21 speed deraileur. Both fit well. The extra weight of the internal gear hub was matched by the front shock absorber on Jeanine's. Fortunately, the shock was adjusted so you didn't feel like you were bungee jumping. 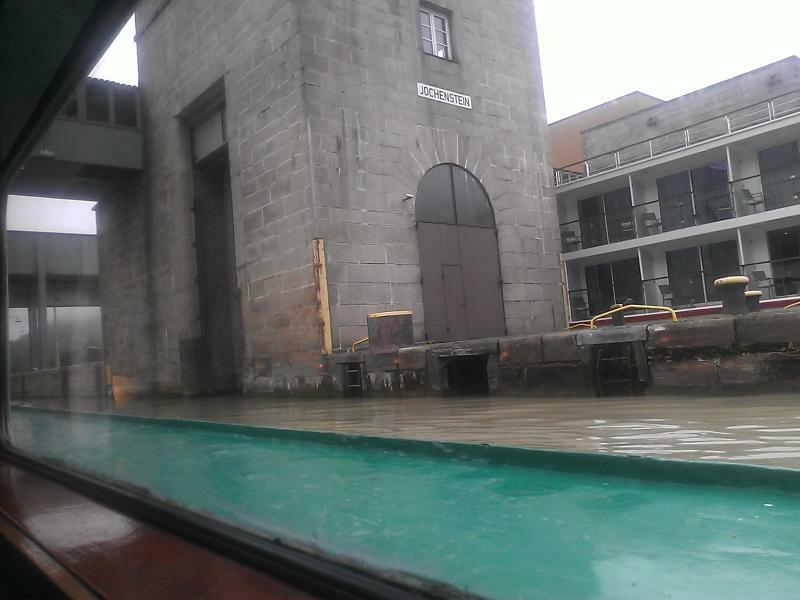 The first lock, this one at Jochenstein a mile or so before Engelhartszell. 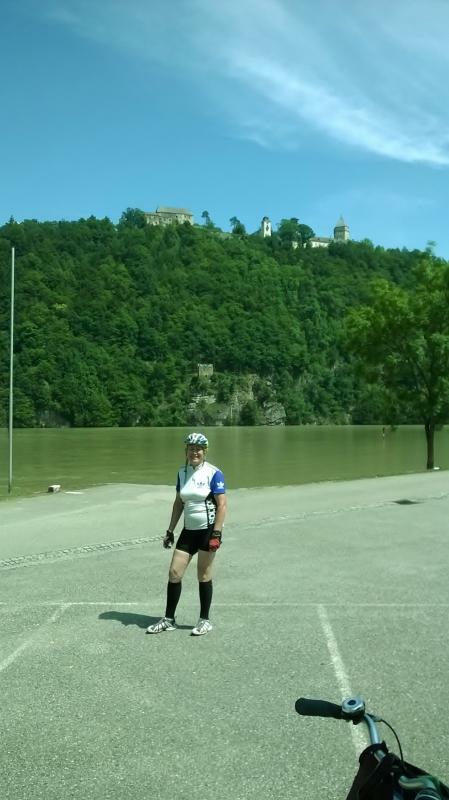 From Passau to Jochenstein, on the left bank is Germany and on the right Austria. After Jochenstein we are completely in Austria. 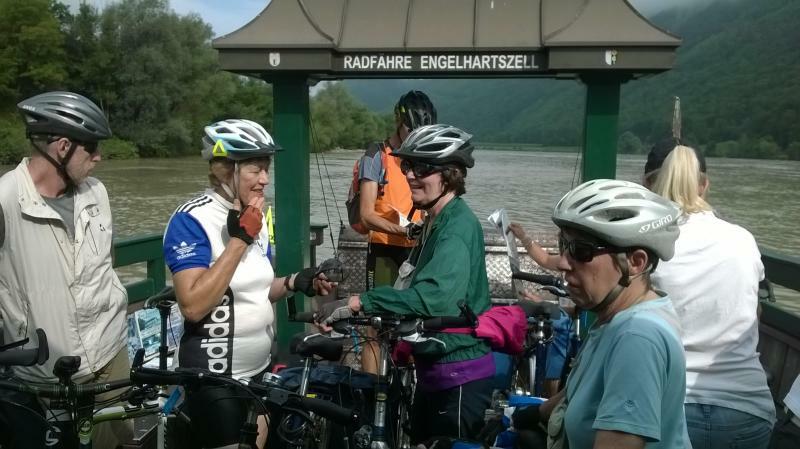 The first thing we did after being issued our bikes at Engelhartzell was to cross the Danube on a bike ferry to the left bank. 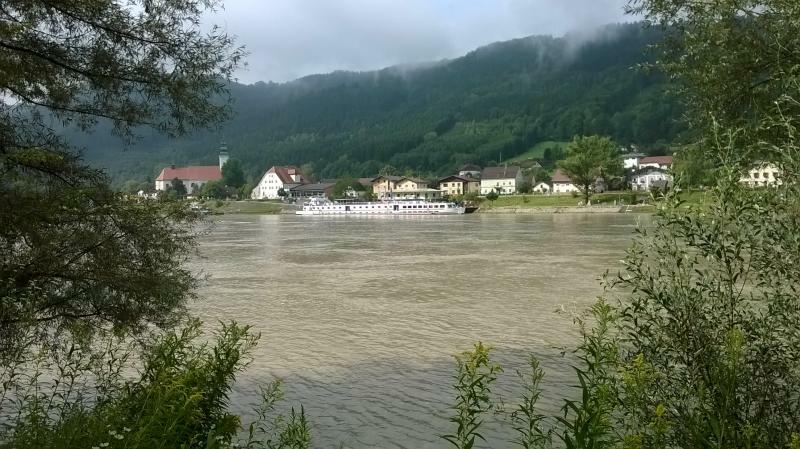 After about 9 miles, we crossed back to the RHS on a ferry at the famous Schlögener Schlinge double hinge where the river doubles back on itself twice. 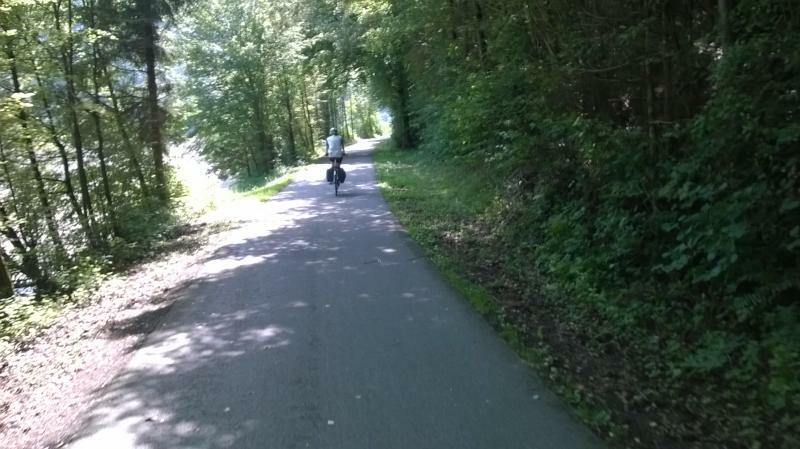 After making a couple bike adjustments in the bike garage at a hotel, we continued on the trail on the right bank. 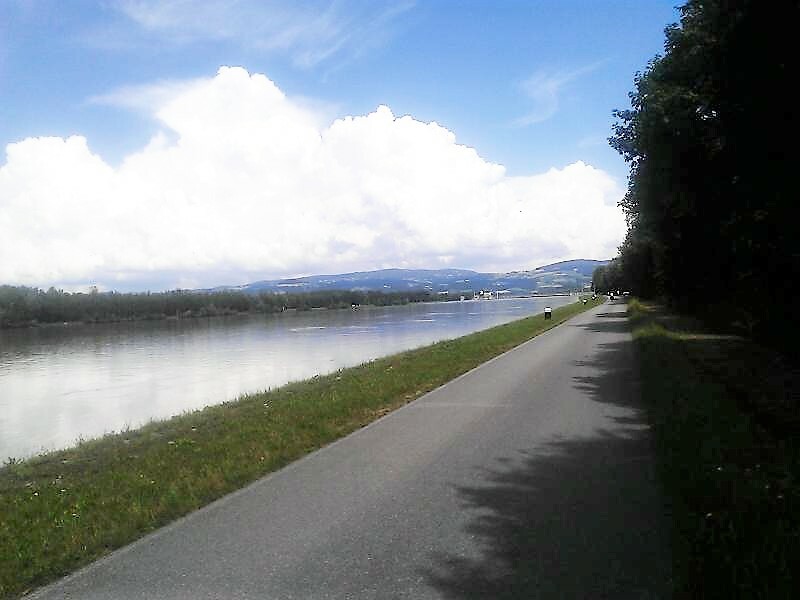 The scenery here is typical of the stretch between Passau and Aschbach on der Donau, green hills on each side of the river. From Aschbach to just before Grein, the Danube flows through a broad valley caused by several good sized rivers flowing into it. 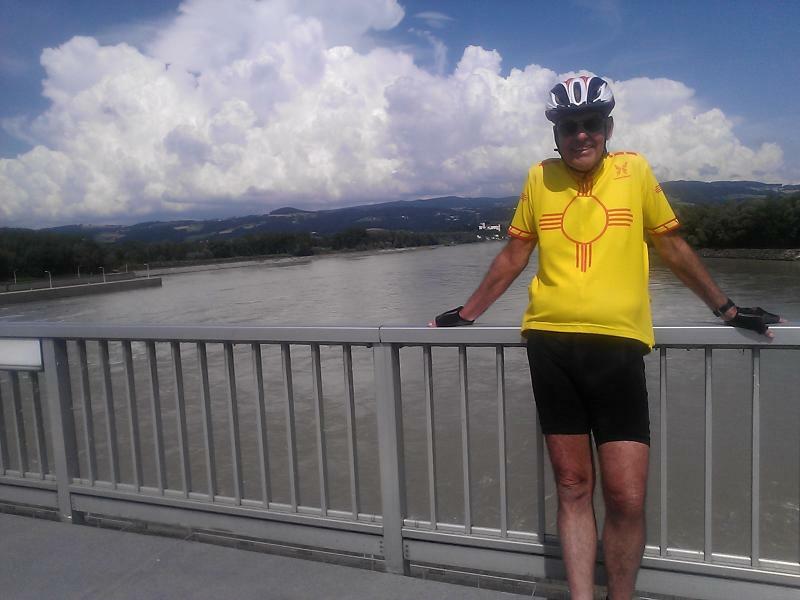 Crossing back to the left bank on a power plant dam with Ottensheim in the background. The ship docked for a couple of hours at Ottensheim. 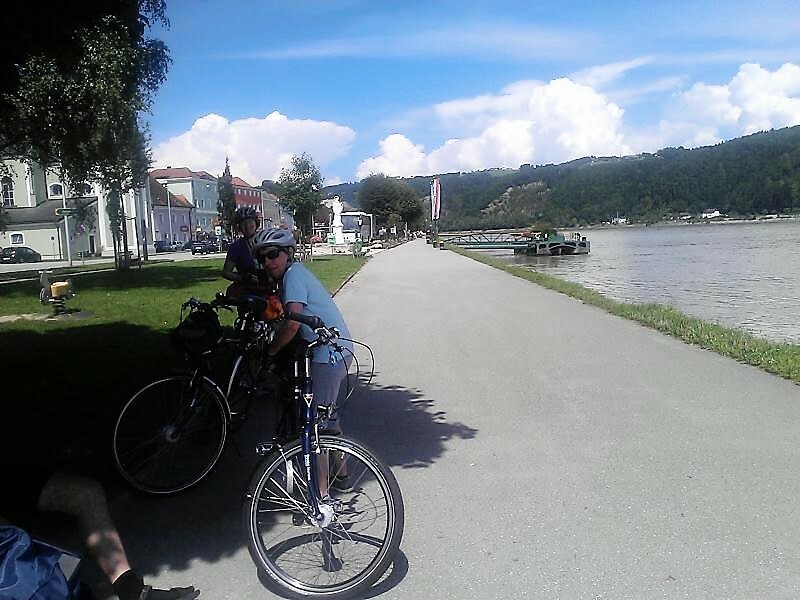 Here you had the choice of cruising or biking the last 10 miles to Linz where the ship docked for the night. Jeanine took the opportunity to do some cruising while the rest biked on. An hour or so after we arrived, our ship finally arrived at the last of 3 docks on the opposite side of the river (Urfahr) from the main part of Linz. We are across from several large government buildings with the cathedral and other church steeples in the background. 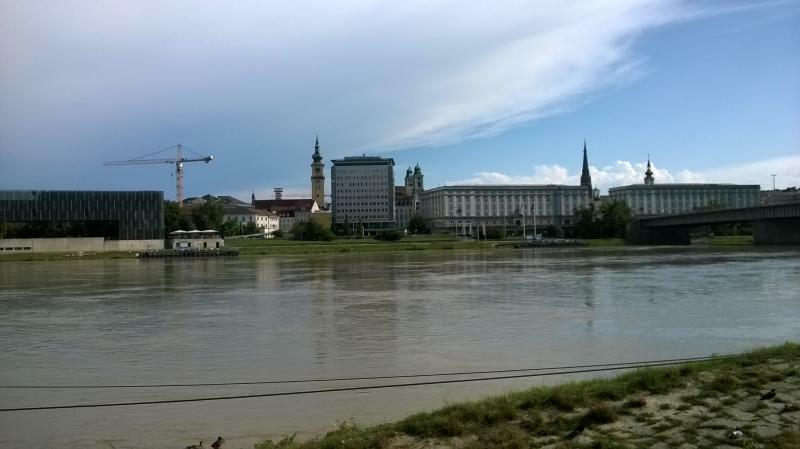 Linz is the capital of the province of Upper Austria and the third largest city after Vienna and Graz. 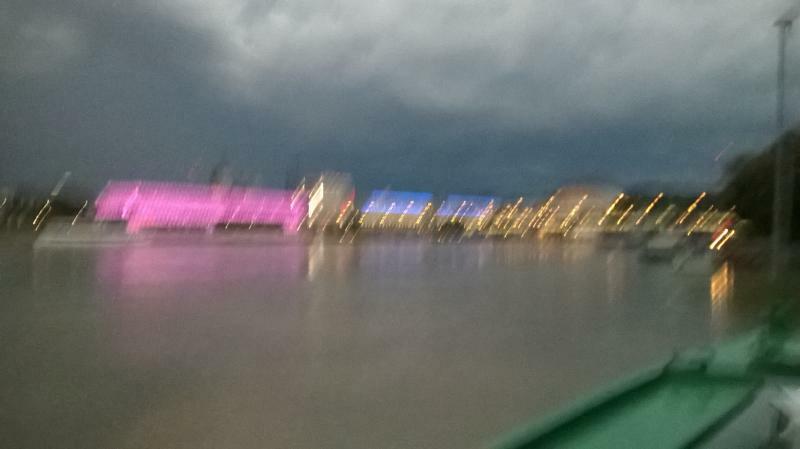 As darkness came on, the government buildings on the opposite side of the river changed color. Here is a poor version of pink and blue. Here is a better view of blue and green.